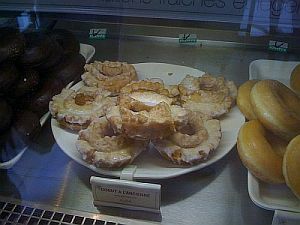 "I had one of these glazed old fashioned donuts the other day at the Starbucks at 65 Rue de la République, the one closest to Bellecour. I like this Starbucks because they always give you a free small coffee drink when you buy coffee beans. I know, they're donuts, like I need that... but it so reminds me of church Sundays." Dori - you are AWESOME!